With Access Control systems, you can be sure you are able to have the access and control that you need as you need it; and without compromising the security and integrity of your data and property. ‘Digital Eye Technologies’ Access Control service provides for a complete internet control systems, along with the visible and concealed features of this kind of service. We implement only the latest and the state-of-the-art technologies in our access control service, giving our clients the peace of mind they deserve. In our every service we provide, we make sure that we implement unparalleled protection against unauthorized access of your systems and properties, and we do this with the help of the latest technologies on top of our experience and expertise in this service. With an internal control system in place, you get to set the restrictions as on who and when specific areas may be accessed. With this, you also mitigate the risk of damage or theft to your inventories, assets, and many other properties. 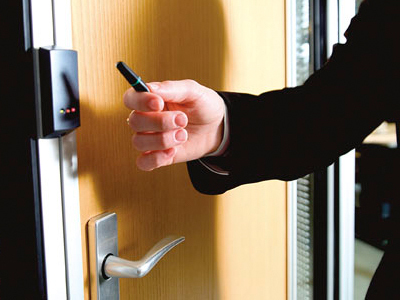 Whether you operate in a small or large area, access control is important to securing the same. We implement other subsidiary options for our access control service, including the installation of surveillance cameras, video monitoring, and many others. These security implements are also strategically placed in order to maximize their security functions. Creation of Trails for Audit. In case unfortunate incidences occur in your workplace, our access control system should help you locate the responsible persons and activities for the same. Through this, you may be able to address such situations more effectively. Without a doubt, keyed entry is a thing of the past. Step in the bandwagon of modern security implements and achieve optimum security with our access control system service. Give us a call today to know more about how we can help you in your security needs!